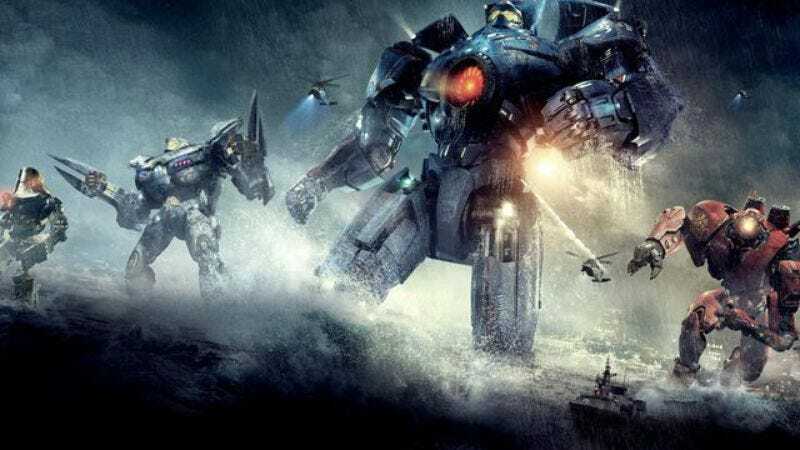 HitFlix reports that, despite rumors of an indefinite delay, director Guillermo del Toro has turned in to Warner Bros. both the script and expected budget for Pacific Rim 2—which, if it’s anything like the first one, people will like more in hindsight after realizing how joyless other monster movies are. About a year ago, del Toro said that the script for Pacific Rim 2 is bold enough to have an open-ended conclusion that sets up Pacific Rim 3. No word yet on whether he scaled that back so that Hollywood money men would see only one expensive monster movie instead of two. But probably not, as del Toro is used to committing wholeheartedly to projects he believes in and then seeing those projects die beautiful, Forest-God-like deaths that fertilize the ground around him and grow into brand-new film projects, none of which will ever be Hellboy 3.